ACT provides top-tier ABA Therapy services for individuals with autism. We work collaboratively with families and schools to design individualized treatment plans that focus on language, living and social skills. ACT prepares your child for success while keeping things fun and engaging along the way. Mental health and mental illness are increasingly considered to be the same thing, but they are not. Everyone has mental health, just like everyone has physical health. The real question is, what can we do to optimize our mental health and live a life full of mental wellness? It has become increasingly important to support our children and their mental wellness. 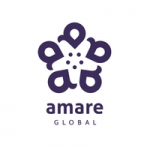 The science behind the Amare products is the Gut-Brain Connection. If a child is struggling with something in their brain, we have been taught to treat the brain. Science is now pointing to the gut as being the second brain and the focal point behind most disruptions with our brain. Stop by and talk to us about this shift in medicine and what our products could potentially do for you and your family. Play It Again Sports helps equip families, individuals and teams to affordably play, get fit, be healthy and enjoy the outdoors! We buy and sell quality pre-owned and new sports and fitness equipment all day every day. Shop local and make us your first stop! We specialize in fitness, hockey, baseball, lacrosse, disc golf, downhill and cross-country skiing, snowshoeing, soccer, tennis, inline skating and more! Spending nearly one year developing a single mission statement and values for the entire organization, SSM Health tasked 3,000 employees with framing it just right. Today that mission statement is 13 words – short by design. Inspired by our founding religious sisters, our mission defines the way we do things. Because those words come from employees, we embrace the mission as our own. Our Mission: Through our exceptional health care services, we reveal the healing presence of God. UnityPoint Health – Meriter provides convenient, personal care to patients in hospital, clinic and home health settings. As a partner of UW Health, our team uses shared values to show our people and communities how much they matter. Offering primary and specialty care, including the busiest birthing center in Wisconsin, Meriter is regularly recognized for outstanding quality and patient experience. We are proud to be part of UnityPoint Health. Providing care throughout Iowa, western Illinois and southern Wisconsin, UnityPoint Health is the nation’s 13th largest nonprofit health system and the fourth largest nondenominational health system in America. The YMCA is a diverse, family friendly non profit that is open to all regardless of age, gender, religion, or socioeconomic background. The Y is recognized as a community-leading collaborator that achieves bold results in areas of youth development, healthy living, and social responsibility with an emphasis on youth and families.